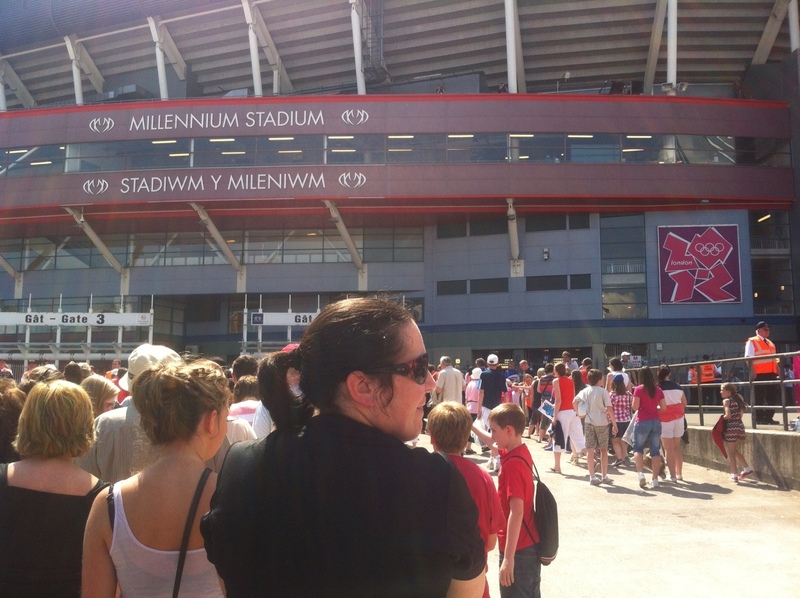 I never thought I’d witness the start of an Olympic Games in my hometown, Cardiff. But that’s exactly what I saw today as Team GB’s women’s football team beat New Zealand 1-0 in the London 2012 opener at Cardiff’s Millennium stadium. The game was a great advert for women’s football. The action was fast and furious. And it was magical to see the first score of the 2012 Games – for Great Britain. We’re back tomorrow evening to see Brazil’s men taking on New Zealand. 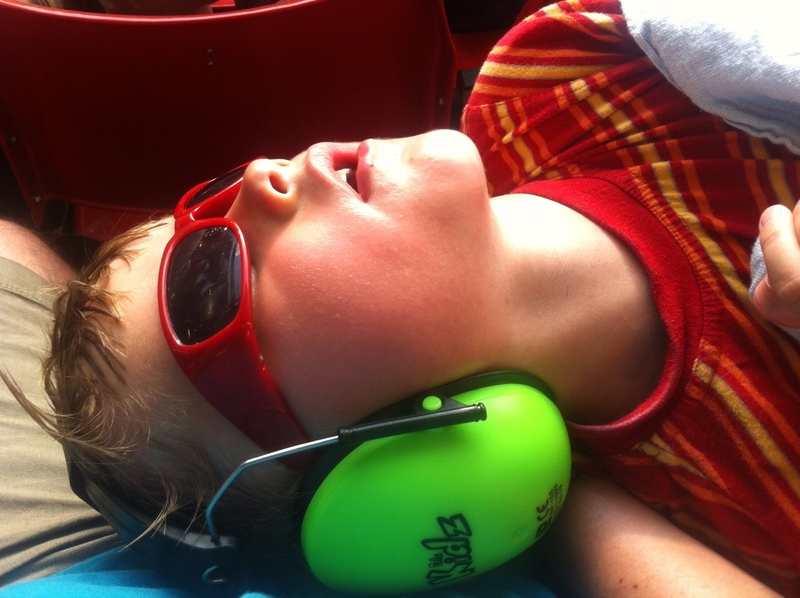 Below: four year old Owen sleeps through the action. 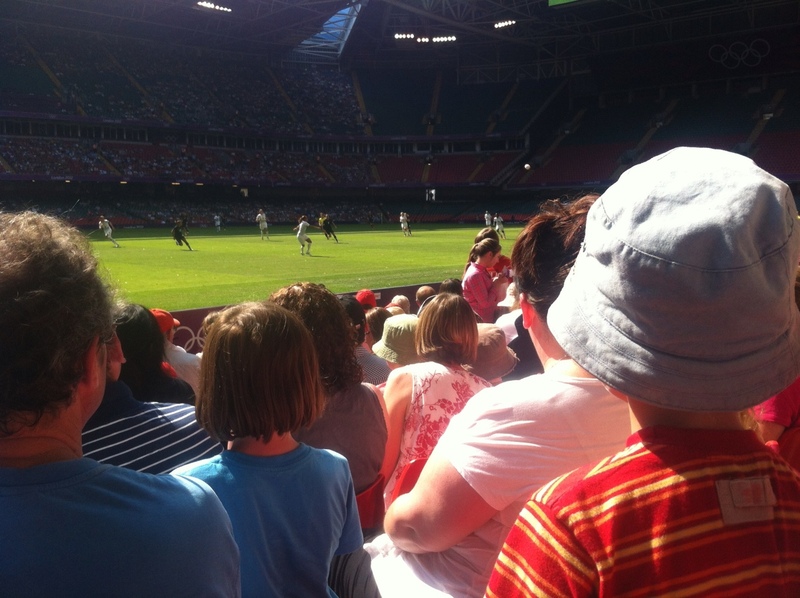 This entry was posted in Cardiff, Sport, Wales and tagged Cardiff, London 2012, Millennium Stadium, Team GB by Rob Skinner. Bookmark the permalink. Are you going to Wembley next week en famille ? TC. We are thinking about it.